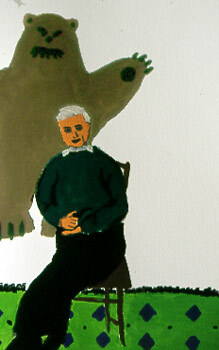 So there is a dude who paints famous thinkers - most of them literary theorists - being menaced by bears. I really can't get enough of it, and I am trying to decide which is my favorite. 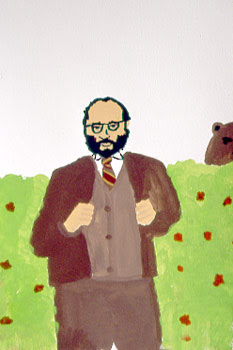 Or dapper yet threatened Umberto Eco? 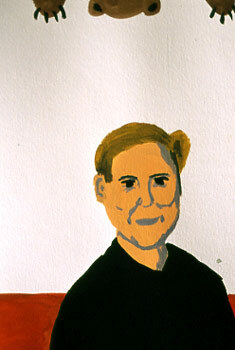 Or perhaps endangered Judith Butler.